Who's crossed the Great Wall of China? 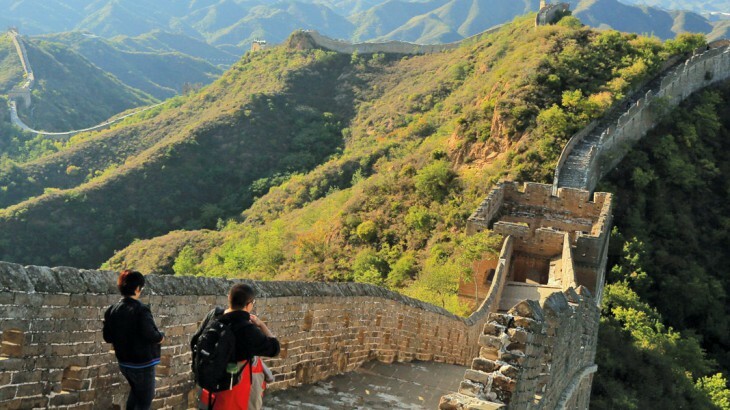 In around 18 months of walking, you could traverse 5,000 miles of the Great Wall of China. Perhaps the most famous wall in the world, this incredible landmark carves out the landscape of China. The entire stretch of the wall lies at over 13,000 miles, but much of it is now inaccessible. It is no surprise, though, that climbing the Great Wall is on many people’s bucket lists. With incredible views and rich history, the wall is an unforgettable sight. 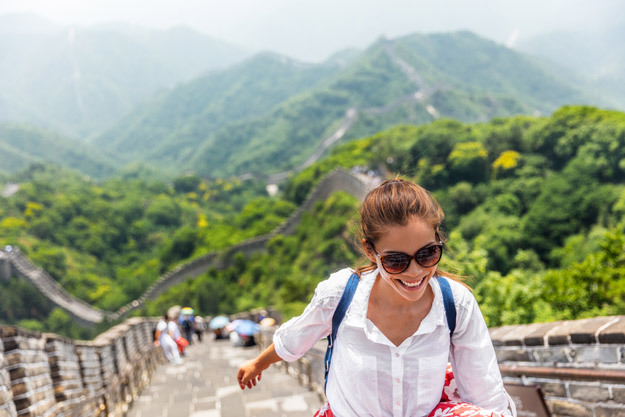 Attracting millions of visitors from around the world each year, the Great Wall of China – although once a barrier to human transgression – has been traversed by countless people in numerous ways. But it’s not just by foot that people have reached the wall. 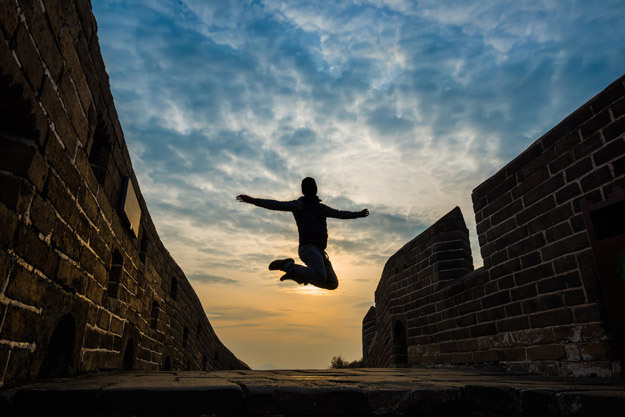 From skateboards to space hoppers, some of the ways that people have crossed the Great Wall of China, and the feats they have performed on it, may surprise you! Built over 2000 years ago, various sections of the wall were first erected in the Warring States period in the states of Qin, Wei, Zhao, Wi, Yan and Zhongshan to defend their borders. Around 220 B.C., under Emperor Qin Shi Huang, sections of earlier fortifications were joined to form a defence against invasions from the north. Construction of the Great Wall continued until the Ming dynasty of 1368 to 1644, when it became the largest military structure in the world. However, despite thousands of years of effort, many of the country’s enemies of history managed to transgress the barrier. In fact, the Manchurian invasion of the Wall in the 17th century resulted in the famous fall of the Ming dynasty. However, some particularly agile animals such as mountain goats cannot be curbed, and are able to scale the wall with relative ease in a stunning natural spectacle. Wild boars, oryx gazella and Chinese monal pheasant can be seen from the walls, and during autumn you can see migrating birds on the Wall. In 2007, a couple from Devon, UK were the first people to walk the whole portion of the wall that is open to the public. Although a few people have trekked the entire length of the Great Wall, this is certainly not necessary in order to gain a sense of the scale of the landscape. Many groups have undertaken charity treks of sections of the wall, such as a group of hikers from Dorset who raised £73,000 for Weldmar Hospice Care Trust this October. For a week they tackled the varied and challenging terrain, with temperatures soaring during the day and plunging at night. 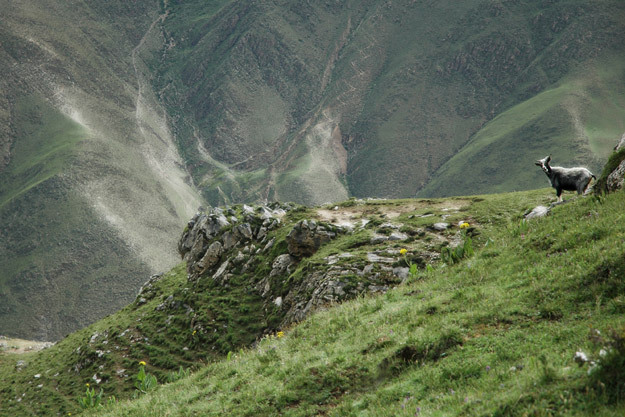 Usually, a cable car will take visitors the majority of the way up through the mountains to reach the wall, whereupon they take a short, steep hike to reach the monument. But whether you choose to take a short stroll on the site or attempt a grander feat, walking is the perfect way to really absorb the atmosphere of this monument. Since its inception in 1999, the Great Wall Marathon has become revered as one of the world’s most challenging marathons. Each year, more people flock to participate in the event, where over 2,500 athletes from 60 nations run a full 26 miles over the steep terrain of the Great Wall. 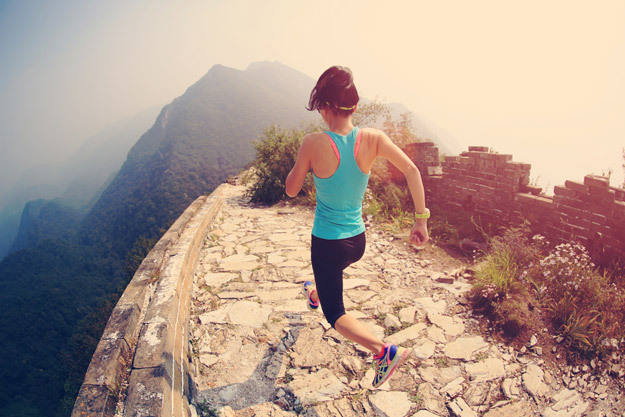 The Great Wall Marathon event offers three distances: a marathon, half marathon and an 8.5km fun run. So, if you’re an avid jogger or a competitive runner, these are contests that could really push your skills – and what better setting off for a run on one of humanity’s greatest landmarks? Kuen Tang, a young woman from Edmonton, Canada, is another such individual who has traversed the wall despite disability. After being paralyzed in a car crash at age 23 she has taken on many adventures such as skiing, skydiving and scuba diving. 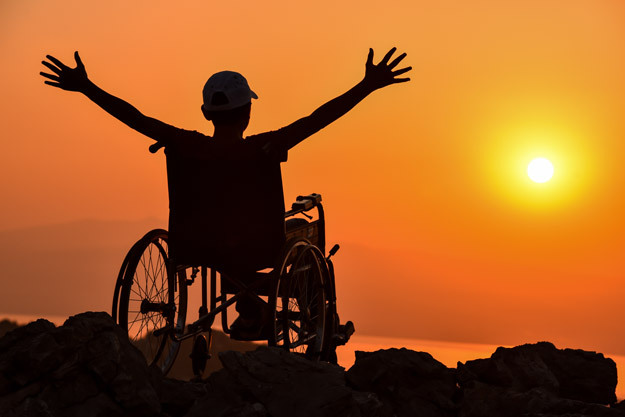 Recently, she embarked upon an 11-day visit to the wall, where she wheeled up one of the steepest parts of the wall to raise awareness of the lack of provisions for disabled people in China. Can you jump over the Great Wall? Apparently it’s possible! 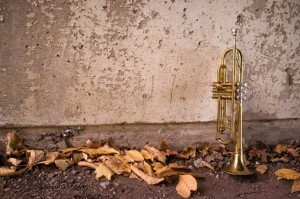 For many, simply crossing the wall by conventional means does not suffice. Some have chosen to jump across the wall rather than use two feet or wheels. In 2005, Danny Way made history when he used the largest quarter pipe ramp ever built to jump over the width of the wall. He was the first skateboarder to jump the Great Wall of China – and even completed the incredible feat four times! Watch the epic jump here. Ashrita Furman is a name synonymous with a whole host of record-breaking endeavours, as the person with the most records to his name in the world. A new record has been set for the fastest mile bounced on a Space Hopper. According to the BBC, Furman’s 92nd record since 1979 was undertaken in 2005 on none other than the Great Wall. 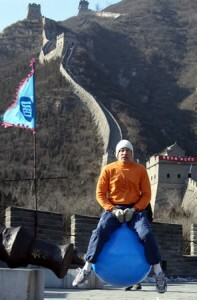 Using a space hopper, he bounced an entire mile of the Great Wall in just 15 minutes. More recently, in May 2016, famous US wingsuit pilot Jeb Corliss took to the skies for an even more dramatic leap over the wall. He dived over the wall and successfully hit a target suspended above it, as the BBC report. He even recorded the flight on a GoPro video, which you can watch here! The Great Wall – a great playing field? These extreme travels are certainly impressive, but the excitement doesn’t end when the wall is reached. Visitors have embarked upon all manner of activities on the wall, from the classic photo shoots to slightly quirkier activities. 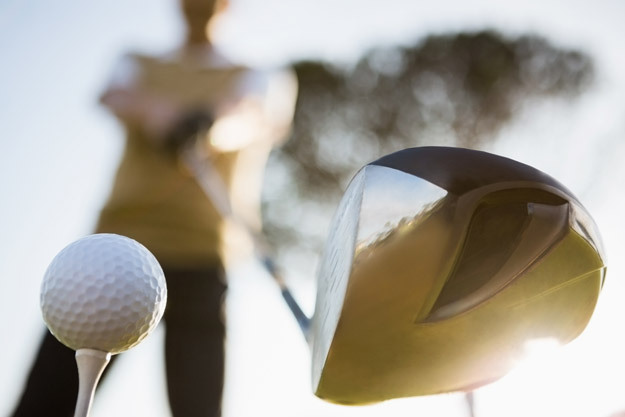 Golf Digest praised golfer Miguel Angel Jimenez who, during the Beijing leg of the European tour stop, visited the Great Wall of China and turned it into a driving range. In this video you can see him smack a golf ball into the wild yonder in style. Providing a platform visible from miles around, what better stage could there be than the Great Wall of China? Evidently, many people agree, from ‘Trumpet Man’ John McGough who regularly performs musical shows on the wall, to a group of Irish dancers who recently performed for onlookers at the wall. Accompanied by a live Irish fiddle, the group brought huge excitement and a fantastic cultural fusion to the wall. So you’ve been to the walk, looked around and either taken it easy with a stroll and some historical learning, or taken it to the extreme with a phenomenal feat. Do you simply walk back down? Well, for the uber-adventurous this is, of course, not an option! Some people have even tobogganed down the Great Wall! 13 WTHR reports on how retired NFL player Peyton Manning is seen getting an adrenaline rush in an Instagram post where he toboggans down a slide on the Great Wall of China. 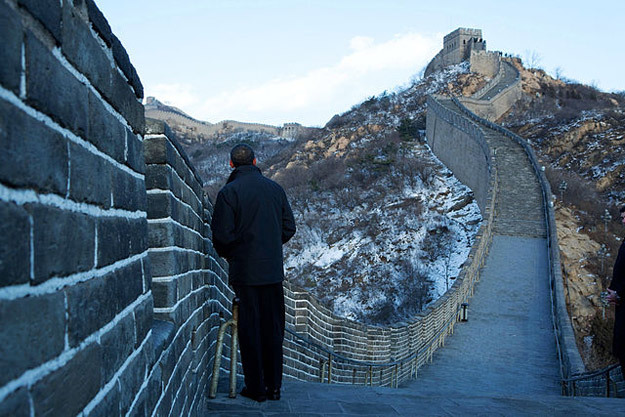 He visited the Mutianyu portion of the wall on Wednesday. What an amazing way to let the views pass you by! 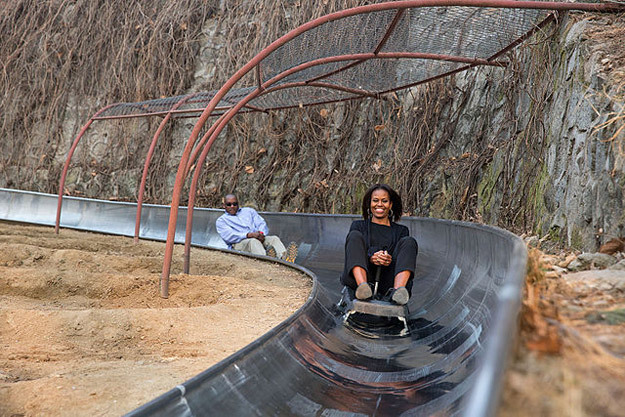 As you can see in the photo above, even Michelle Obama has done it! What’s next? The world’s largest railway at the Great Wall? Currently, the world’s longest escalator is located in the Enshi Grand Canyon area of the Great Wall, where visitors can take in the captivating sights from 688 metres of escalator. But soon, visitors may even be able to reach the Great Wall via rail! Ahead of the 2022 Winter Olympics in Beijing, plans are underway for the world’s largest and deepest high-speed railway station to be built just below the most popular section of the Great Wall. 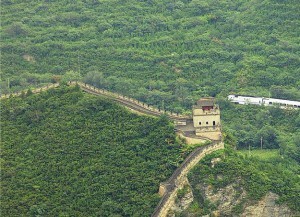 According to Travelers Today, the station will be at Badaling, the most visited section of the Great Wall. The station will run through the mountains under the Great Wall, meaning that it will soon be even easier to travel to this terrific site as part of a tour of China! Which famous people have been to the Great Wall? Queen Elizabeth II of the United Kingdom visited the Badaling Great Wall section on October 14, 1986. David Cameron, former British Prime Minister, visited the Juyongguan Great Wall section on November 10, 2010. Kobe Bryant, NBA superstar of the L.A. Lakers visited on the Great Wall on August 13, 2001. Diego Armando Maradona, famous Argentinian footballer, visited the Badaling Great Wall section on November 22, 2003. Micheal Jordan, basketball star, visited the Great Wall of China at Shuiguan Pass on May 19, 2004. Lebron James, NBA star of the Cleveland Cavaliers and visited the Great Wall of China in August, 2005. Book a China holiday with a trip to the Great Wall with the UK’s leading Asia Experts, Wendy Wu Tours. Our fully inclusive, escorted tours of China visit all the major sights for an unforgettable holiday. China history, random, tourism. permalink.